Fish don’t catch themselves! 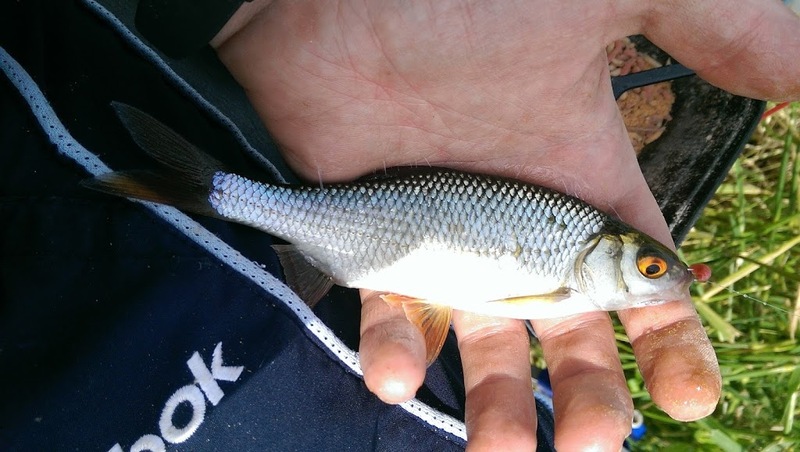 Although in some commercial fisheries you could argue that they might… With that contentious issue in mind I decided to steer clear of catch proven and conventional lakes I would normally visit and target a closer and more natural water. I say natural, I would be fishing the Long Load Drain, which was of course man made many years ago, the stocking of it however is a different matter. 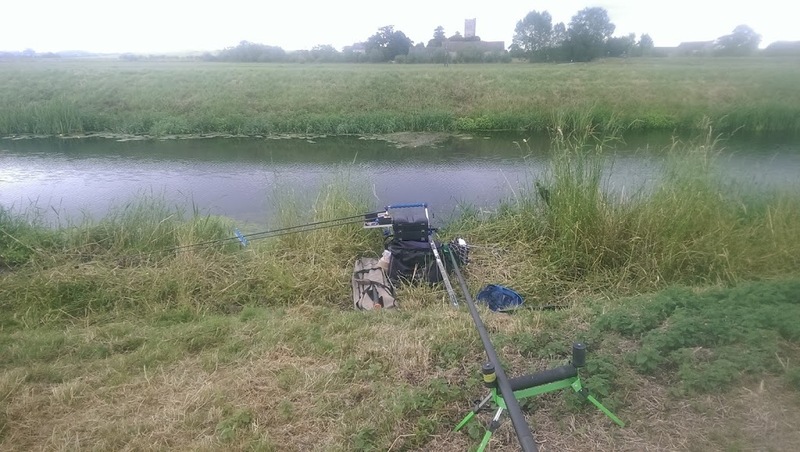 This season I have been looking to improve my fishing skill set, and the only way I can do that is by challenging myself and fishing more rivers, drains and large still waters. Today would be the turn of Long Load Drain near Langport. Looking down over the bridge onto the drain it was absolutely crystal clear and weedy, but I could see a lot of fish moving in the upper sections of the water. Unpacking the car and loading up the trolley I walked through a gate and along the bank, within 10 minutes I was joined by some very inquisitive sheep, one of which tried to eat my net bag, a few more minutes and they departed only to be joined by the best part of 30 cows. Bessie and her mates soon lost interest however and I was back to setting up. One problem about fishing venues like this is the bank! It was very muddy and by the end of the day my box had sunk several inches into by several inches. Loose 8 and Loose 10 – 2.68lb Fox Micron line straight through to a Kamasan B911 size 18 hook. I dropped it into the keep net and carried on. The next fish was a Perch. I supposed it had to be as I was fishing slightly over depth. Looking up the drain I could see fish and fry scattering and wondered whether some bigger summer Perch or Pike were feasting. I shallowed my rig and firing some maggots over the top of my hookbait I began to catch a steady stream of fish. The bites ranged from incredibly finicky, to really aggressive, but there was no telling which species related to the type of take! After 15/20 minutes the swim would quieten down at which point I would fish in my short swim to maintain results. Fishing close in is so often overlooked but can be a vital lifeline in a match situation when the front line(s) fails. I caught the biseggest fish of the day from the close swim too! Sadly however I didn’t get a visit from either a large Perch or Pike. 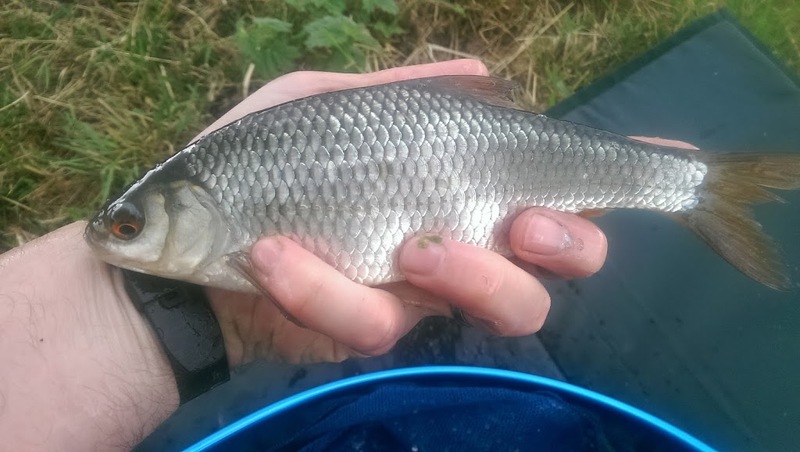 After a few hours fishing I managed to put together a small bag of silver fish, along with a cracking roach up around 3/4 of a lb. Best fish of the day came from fishing short. There are so many species of fish in those drains it’s no wonder that the Heron I disturbed when arriving looked so disgruntled as it flew off. Switching baits made no difference either and if the hookbait made it through the excitable chublets it was pot luck what fish I’d pick up, which is always exciting. What more is exciting however is, in a few years time those little chublets will be serious chub, which I eagerly await trying to catch. Take a rake or weed blade. This stuff there is heavy and thick and although I didn’t lose any gear to the weed a few fish of any size would have caught me out easily. Take mudfeet for your box or a suitable platform. I had to improve in the end with a secondary net bag and a random plank of wood I found amongst the rushes. Make sure you have a long enough landing net handle. On this trip I forgot mine! I’d taken it out of my bag for a previous trip and forgotten to replace it. Fortunately I have a 2 meter extendable bank stick which did a reasonable job of doubling up, but 2 meters+ is a must on these venues, especially with such heavy weed to contend with. I called it a day just shy of 4 hours fishing time. It was a lovely venue and one that I know puts out some nice pike in the winter months, but the nail in the coffin for me was the family on the kayak which went back and forth about 9 times in a hour and the spaniel that nearly jumped on to my pole immediately after I fed my swim. All in all it was a very picturesque venue and one I may return to when looking for another challenge, but I think a greater walk will be needed to remove the likelihood of human or animal interference. 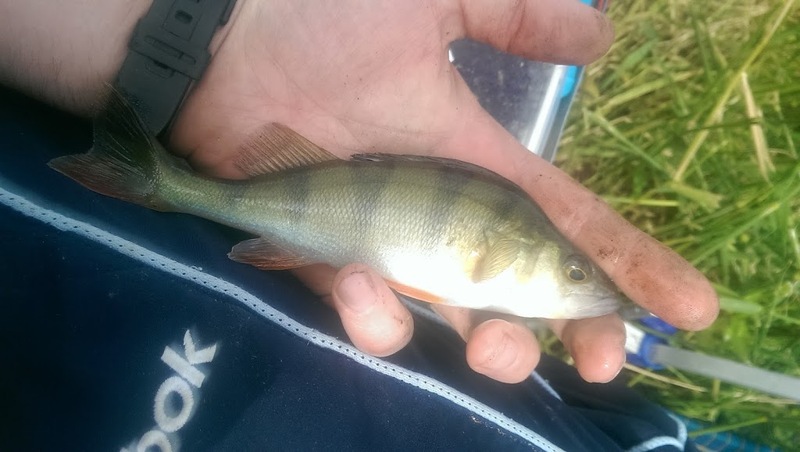 Fishability: *** – Looked very fishy, but as its not regularly fished you would need to put the leg work in prior to fishing to get a really good day. Raking the swim beforehand and pre-feeding to ensure a more weightier catch. 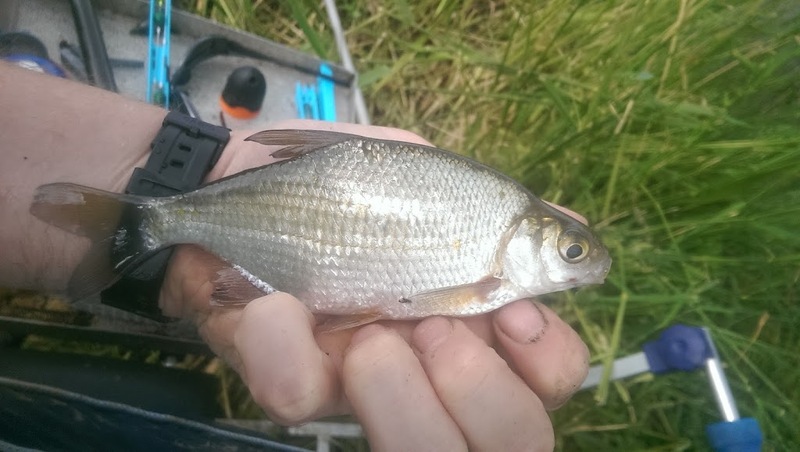 There are some very sizable Bream and Carp in most of the drains around Somerset, you just have to find them. Accessibility *** – Easy to find and road side parking. 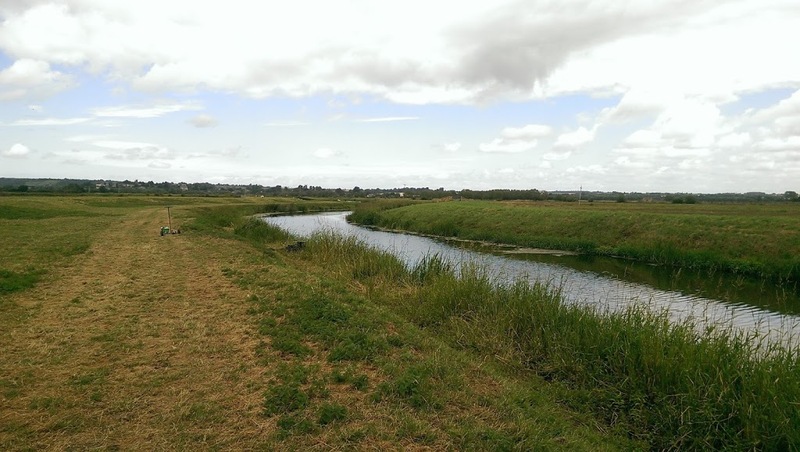 Disabled access – * – Although the banks are flat, they are very muddy and difficult to walk along when able bodied let alone in a wheel chair this venue would be very difficult to access. 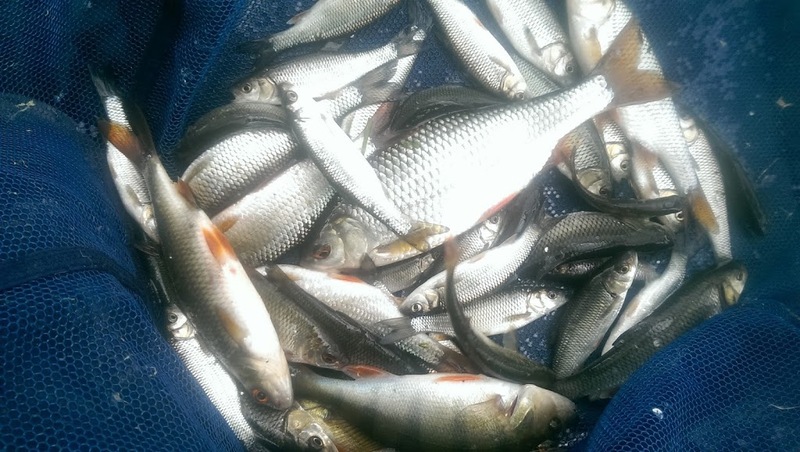 Lovely bag of fish for December. Doesn't really matter but are you sure that's the Long Load Drain? Looks like the Parrett? After a bit of investigation, it's neither. Silly me! It's the River Isle. Apparently the drain is a lot wider? Just means I have a lot more banks to walk this year, searching out new pegs! Previous story Big Bottlenose Dolphin Survey!